This folio originates from a rare manuscript of the Qur’an which combines Arabic verses with a Persian translation and commentary. 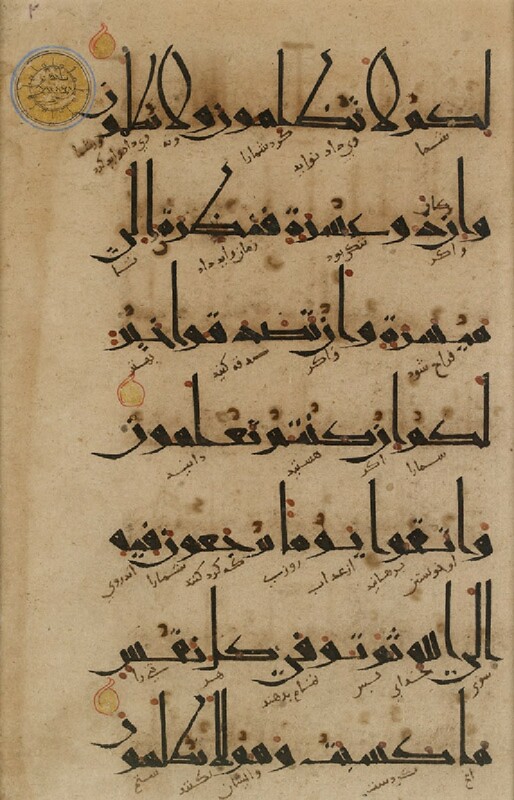 Although Arabic is the language in which the Qur’an was revealed, and the only one accepted for its recitation, translations and commentaries in both Persian and Turkish started to appear from the 12th century. These not only allowed for a better understanding of the text, but also helped to spread Islam’s principles in areas where Arabic was not the main language. 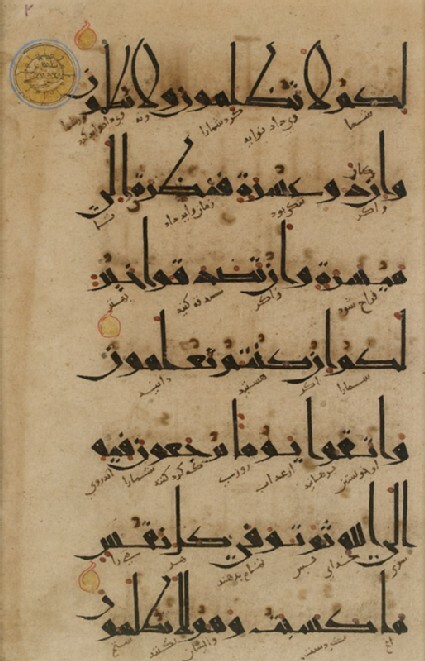 This page (Qur’an, 2:279-281) is written in what is called ‘Eastern’ kufic, a development of kufic that presumably originated in the eastern part of the Islamic world, that is characterized by elongated vertical shafts and more rounded strokes in the letters falling beneath the line. While also found on parchment Qur’ans, Eastern kufic appears mostly on paper, which progressively replaced animal skin as the preferred medium for copying the revelation during the 10th century.